In law, an unincorporated area is a region of land that is not governed by a local municipal corporation; similarly an unincorporated community is a settlement that is not governed by its own local municipal corporation, but rather is administered as part of larger administrative divisions, such as a township, parish, borough, county, city, canton, state, province or country. Occasionally, municipalities dissolve or disincorporate, which may happen if they become fiscally insolvent, and services become the responsibility of a higher administration. Widespread unincorporated communities and areas are a distinguishing feature of the United States and Canada. In most other countries of the world, there are either no unincorporated areas at all, or these are very rare; typically remote, outlying, sparsely populated or uninhabited areas. 1.7.1 USGS definition of "populated place"
Unlike many other countries, Australia has only one level of local government immediately beneath state and territorial governments. A local government area (LGA) often contains several towns and even entire cities. Thus, aside from very sparsely populated areas and a few other special cases, almost all of Australia is part of an LGA. Unincorporated areas are often in remote locations, cover vast areas or have very small populations. Postal addresses in unincorporated areas, as in other parts of Australia, normally use the suburb or locality names gazetted by the relevant state or territorial government. Thus, there is rarely any ambiguity regarding addresses in unincorporated areas. The Australian Capital Territory has no municipalities and is in some sense an unincorporated area. The territorial government is directly responsible for matters normally carried out by local government. The far west and north of New South Wales constitutes the Unincorporated Far West Region, which is sparsely populated and barely warrants an elected council. A civil servant in the state capital manages such matters as are necessary. The second unincorporated area of this state is Lord Howe Island. Western Australia is exceptional in two respects. Firstly, the only remote area that is unincorporated is the Abrolhos Islands, which is officially uninhabited and controlled by the WA Department of Fisheries. Secondly, the other unincorporated areas are A-class reserves either in, or close to, the Perth metropolitan area, namely Rottnest Island (controlled by the Rottnest Island Authority) and Kings Park ( Botanic Gardens and Parks Authority). In Canada, depending on the province, an unincorporated settlement is one that does not have a municipal council that governs solely over the settlement. It is usually, but not always, part of a larger municipal government. This can range from small hamlets to large urbanized areas that are similar in size to towns and cities. For example, the urban service areas of Fort McMurray and Sherwood Park, of the Regional Municipality of Wood Buffalo and Strathcona County respectively, would be the fifth and sixth largest cities in Alberta if they were incorporated. In British Columbia, unincorporated settlements lie outside municipal boundaries entirely, and are administered directly by regional/county-level governments similar to the American system. In some provinces, large tracts of undeveloped wilderness or rural country are unorganized areas that fall directly under the provincial jurisdiction. Some unincorporated settlements in such unorganized areas may have some types of municipal services provided to them by a quasi-governmental agency such as a local services board in Ontario. In New Brunswick where a significant population live in a Local Service District, taxation and services may come directly from the province. The entire area of the Czech Republic is divided into municipalities ( Obce), with the only exception being 4 military areas. These are parts of the regions and do not form self-governing municipalities, but are rather governed by military offices (újezdní úřad), which are subordinate to the Ministry of Defense. Since Germany has no administrative level comparable to the townships of other countries, the vast majority of the country, close to 99%, is organized in municipalities (German: Gemeinde, plural Gemeinden), often consisting of multiple settlements which are not considered to be unincorporated. Because these settlements lack a council of their own, there is usually an Ortsvorsteher / Ortsvorsteherin (village chairman / chairwoman) appointed by the municipal council, except in the very smallest villages. In 2000, the number of unincorporated areas in Germany, called gemeindefreie Gebiete (municipality-free areas) or singular gemeindefreies Gebiet, was 295 with a total area of 4,890.33 km² and around 1.4% of its territory. However, these are mostly unpopulated areas like forests, lakes and their surroundings, military training areas and the like. † No inhabitants since 1 January 2011 as a result of reduction in area. In Bavaria, there are other contiguous unincorporated areas covering more than 50 km²; these are however composed of several adjacent unincorporated areas combined, each of which is however under 50 km² in area. The Netherlands has had regular periods with unincorporated land when newly reclaimed land polders fall dry. Unincorporated land is since medieval times administered by an appointed officer with the name Landdrost or Drossaart. Also, Elten and Tudderen, both annexed from Germany after World War II, were governed by a Landdrost until they were ceded to Germany in 1963. The most recent period with unincorporated land started in 1967 when the dyke around Southern Flevoland was closed. It however requires several years before the polder is genuinely accessible for cultivation and construction of roads and homes can start, as in the first years the soil is equivalent to quicksand. During the initial period of inhabitation a special, government-appointed officer was installed, known as the Landdrost. During the administrative office of a Landdrost there is no municipal council. In 1975, the first homes in what is now the city of Almere were built and from 1976 to 1984 the area was governed by the Landdrost as the executive of the Openbaar Lichaam Zuidelijke IJsselmeerpolders (Southern IJsselmeerpolders Public Body). In 1984 the Landdrost became the first mayor of the new city Almere. Since that date the Netherlands does not have any unincorporated land areas. The Openbaar Lichaam remained however, only governing the water body of the Markermeer. After the municipal division of the Wadden Sea (1985), the territorial waters in the North Sea (1991) and the IJsselmeer (1994), all water bodies are now also part of a municipality  and there are no unincorporated areas in the Netherlands anymore. The Openbaar Lichaam Zuidelijke IJsselmeerpolders was dissolved in 1996. In Norway, Jan Mayen, Svalbard and Bouvet Island are outside the division into counties and municipalities. They are ruled directly by national authorities without any local democracy. An exception is the Longyearbyen Community Council which since 2004 in reality acts partly like a Norwegian municipality. Svalbard has a governor appointed by the government of Norway, ruling the area. Jan Mayen has no population, only radio and weather stations with staff, whose manager has the responsibility for the activities. Bouvet Island has only occasional visitors. In local government in the United States, an unincorporated area generally refers to the part of a county which is outside any municipality. Most states have granted some form of home rule, so that county commissions (or boards or councils) have the same powers in these areas as city councils or town councils have in their respective incorporated areas. Some states instead put these powers in the hands of townships, which are minor civil divisions of each county, and are called "towns" in some states. Some American states have no unincorporated land areas; these include Connecticut, Massachusetts, New Jersey, New York and Rhode Island, although these states all have communities that are not separately incorporated but are part of a larger municipality. a neighborhood or other community existing within one or across multiple existing incorporated areas (i.e., cities or towns). In this sense, a community is part of a municipal government, but not separately incorporated from it. For example, Hyannis, Massachusetts, is an unincorporated village within the town of Barnstable. a neighborhood or other community existing outside an incorporated municipal government. In this sense, the community is outside any municipal government, and entirely unincorporated. Examples include: Hovland, Minnesota; Ceresco, Michigan; Nutbush, Tennessee; and Yucca, Arizona; small rural settlements of low population. Due to differences in state laws regarding the incorporation of communities, there is a great variation in the distribution and nature of unincorporated areas. Unincorporated regions are essentially nonexistent in seven of the northeastern states. All of the land in New Jersey, Connecticut, Massachusetts, New York, and Rhode Island, and nearly all of the land in New Hampshire, Pennsylvania and Vermont, is part of an incorporated area of some type. In these areas, types (and official names) of local government entities can vary. In New England (which includes five of those eight states, plus the less fully incorporated state of Maine), local municipalities are known as towns or cities, and most towns are administered by a form of direct democracy, such as the open town meeting or representative town meeting. Larger towns in New England may be incorporated as cities, with some form of mayor-council government. In New Jersey multiple types exist as well, such as city, township, town, borough, or village, but these differences are in the structure of the legislative branches, not in the powers or functions of the entities themselves. On the opposite end of the spectrum is the Virginia "strong county" model. Virginia and other states with this model, such as Alabama, Maryland, and Tennessee, set strict requirements on incorporation or grant counties broad powers that in other states are carried out by cities, creating a disincentive to incorporate, and thus have large, urbanized areas which have no municipal government below the county level. Meanwhile, in other mid-Atlantic states, such as New York and Pennsylvania, a "hybrid" model  that tries to "balance" the two approaches is prevalent,  with differing allocations of power between municipalities and counties existing. Throughout the U.S., some large cities have annexed all surrounding unincorporated areas, creating what are known as consolidated city–county forms of government (e.g., Jacksonville, Florida and Nashville, Tennessee). Conversely, there are a number of " county islands" that exist, where an unincorporated area is surrounded on most or all sides by municipalities. In areas of sparse population the majority of the land in any given state may be unincorporated. Some states, including North Carolina, grant extraterritorial jurisdiction to cities and towns (but rarely villages), so that they may control zoning for a limited distance into adjacent unincorporated areas, often as a precursor (and sometimes as a legal requirement) to later annexation of those areas. This is especially useful in rural counties which have no zoning at all, or only spot zoning for unincorporated communities. In the context of the insular areas of the United States, the word " unincorporated" means that the territory has not been formally and irrevocably incorporated into the United States. (See: United States territory.) Unincorporated insular areas are therefore potentially subject to being sold or otherwise transferred to another power, or, conversely, being granted independence. There are currently five major unincorporated U.S. insular areas: American Samoa, Puerto Rico, Guam, the U.S. Virgin Islands, and the Northern Mariana Islands. USGS definition of "populated place"
Many unincorporated communities are also recognized as acceptable place names for use in mailing addresses by the United States Postal Service (USPS) (indeed, some have their own post offices), and the United States Census Bureau uses the names of some widely recognized unincorporated communities for its census-designated places (CDPs) for which it tabulates census data. However, the USPS is very conservative about recognizing new place names for use in mailing addresses and typically only does so when a place incorporates. [ citation needed] The original place name associated with a ZIP Code is still maintained as the "default" place name, even though the name of the newly incorporated place is more accurate. As an example, Sandy Springs is one of the most populated places in Georgia, but is served by a branch of the Atlanta post office. Only after the city was incorporated in 2005 has "Sandy Springs" been approved by the USPS for use in mailing addresses, though "Atlanta" remains the default name. Accordingly, "Atlanta" is the only accepted place name for mailing addresses in the nearby unincorporated town of Vinings, also served by a branch of the Atlanta post office, even though Vinings is in Cobb County and Atlanta is in Fulton and DeKalb counties. In contrast, neighboring Mableton has not been incorporated in nearly a century, but has its own post office and thus "Mableton" is the only acceptable place name for mailing addresses in the town. 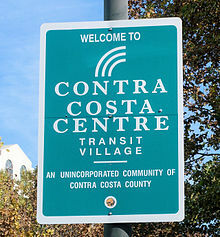 The areas of Dulah and Faria, California, which are unincorporated areas in Ventura County between Ventura and Carpinteria, have the ZIP Code of 93001, which is assigned to the post office at 675 E. Santa Clara St. in Ventura;  thus, all mail to those two areas is addressed to Ventura. If an unincorporated area becomes incorporated, it may be split among ZIP Codes, and its new name may be recognized as "acceptable" for use with some or all of them in mailing addresses, as has been the case in Johns Creek and Milton, Georgia. However, if an incorporated area disincorporates, this has no effect on whether a place name is "acceptable" in a mailing address or not, as is the case with Lithia Springs, Georgia. ZIP Code boundaries often ignore political boundaries, so the appearance of a place name in a mailing address alone does not indicate whether the place is incorporated or unincorporated. In Israel all land, except military areas, is subdivided into 393 municipalities which are further classified, normally by population, as City, Local Council, or Regional Council. All three types of municipality provide services including zoning and planning. Slovakia is divided into municipalities. There are two types of municipalities: towns (mesto, pl. mestá) and villages (obec, pl. obce), with minor differences between them. Additionally, there are several military areas which are not part of any municipality. In fact, each military area is a municipality of its own right. However, the military areas hold no elections and have no mayors or other elected representatives. Instead, they are administered directly by the Slovak Ministry of Defence. Many countries, especially those with many centuries of history using multiple tiers of local government, do not use the concept of an unincorporated area. The whole of the territories of Austria, Belgium, Bosnia and Herzegovina, Croatia, Finland, France, Italy, Japan, the Netherlands, the Philippines, Poland, Portugal, Serbia, Slovenia and Sweden are divided into municipalities. In Peru, the whole territory is divided into districts ("distritos"), which form provinces ("provincias"), which form regions ("regiones"). Some districts, specially in the Amazon, are vast portions of territory, but they're governed from a district capital (which can be anywhere from a city to a small village). In Argentina, Brazil, Chile, and Mexico, all land must belong to a municipality. Even large uninhabited areas, such as forests or grasslands, are by law part of the nearest "city". This is because in Latin America, a "municipality" is the equivalent of what in the United States and Canada is called a "county". In Croatia, every piece of land belongs either to a city (grad) or to a municipality (općina). In Estonia, the entire territory is divided into 79 municipalities of which 14 are municipal towns and 65 are parishes. In France, the territory is subdivided into 36,685 communes (municipalities). An elected council and a mayor form the governing body of a municipality. In Japan, every piece of land belongs to a municipality, of which there are four types: cities (市 shi); the special wards (特別区 tokubetsu-ku) of Tokyo; towns (町 chō or machi); villages (村 mura or son). In the Philippines, every piece of land belongs either to a city, cíudad, or lungsód or to a municipality, municipío, or bayan. In Portugal, the Portuguese constitution defines territorial divisions as parishes, municipalities and administrative regions. There is no official definition of city limits so a city may include several parishes, or a parish may cover several villages or townships, but a municipality is usually administered from the city or town that bears its name. In South Africa, the constitution gives every place in the country democratically elected third-tier government. In South Korea, every piece of land belongs to a municipality, either a district (구/區 gu) in a city (시/市 si) or a town (읍/邑 eup) or township (면/面 myeon) in a county (군/郡 gun). In Spain, the Spanish Constitution of 1978 says that the land is divided into Autonomous Communities, provinces and municipalities. Each of these have certain powers determined by law. Autonomous Communities and municipalities are enabled to appeal to the Constitutional Court any public decision that violates their autonomy by other entities (State or Autonomous Community power). Nevertheless, some regions, like Navarra, have some unincorporated areas. The largest of these, the Bardenas Reales has a surface of 418 km2 and is governed by a board of representatives of 20 bordering municipalities, a valley in the Pyrenees, and a monastery, all of which have rights to use the area. In Sweden, all territory is divided into municipalities. Sweden has post-glacial rebound, meaning the land is rising by up to a meter (3 ft) per century compared to sea level. But municipal borders extend into sea, giving such new areas a defined municipal belonging. In the Republic of China area (Taiwan, Pescadores, Kinmen, and Matsu), every piece of land belongs to either an Urban/Rural township (鎮 zhèn/鄉 xiāng) or a County-controlled city (縣轄市 xiànxiáshì) in Counties (縣 xiàn), or Districts (區 qū) in cities (市 shì). There are, in total, 368 townships, County-controlled cities and Districts in Taiwan. See also Administrative divisions of Taiwan. In the United Kingdom, in England, all land is within a county or local government district, both of which exercise power over their jurisdictions. In Scotland, all land is within one of 32 unitary authorities  designated as councils. In Wales, all land is within one of 22 single-tier principal areas. In Northern Ireland, all land is within one of 11 districts. ^ a b "Local Government Areas and Statistical Local Areas – Alphabetic". Australian Standard Geographical Classification (ASGC), Jul 2008. Australian Bureau of Statistics. 26 September 2008. Retrieved 31 January 2011. ^ "Welcome to the Outback Communities Authority". Government of South Australia. Archived from the original on 13 September 2015. Retrieved 9 September 2015. ^ More information on Designated place. Statistics Canada. 2009. ^ "Vláda zrušila vojenský újezd Brdy, další čtyři cvičiště se zmenší – iDNES.cz". Zpravy.idnes.cz. Retrieved 25 April 2013. ^ "Baden-Württemberg mit nunmehr 1 101 Gemeinden und zwei unbewohnten, gemeindefreien Gebieten" (in German). Archived from the original on 28 September 2011. Retrieved 3 November 2018. ^ A.J., Van der Meer (15 October 2017). "Gemeentegrenzen in Nederland: Een juridisch, technisch en kadastraal onderzoek". Repository.tudelft.nl. Retrieved 15 October 2017. ^ "A surge toward home rule". History of County Government Part II. National Association of Counties. Archived from the original on 2 February 2011. Retrieved 31 January 2011. ^ a b "About Counties". History of County Government Part I. National Association of Counties. Archived from the original on 2 February 2011. Retrieved 31 January 2011. ^ "County Government". Illinois Association of County board members. 2007. Archived from the original on 26 July 2011. Retrieved 31 January 2011. ^ "Estimated Population – Unincorporated Areas" (PDF). County of Los Angeles. February 2008. Retrieved 31 January 2011. ^ "Unincorporated Areas". County of Los Angeles. Archived from the original on 22 September 2016. Retrieved 31 January 2011. ^ "Geographic Terms and Concepts – Place". United States Census Bureau. Retrieved 11 December 2014. ^ "USGS GeEographic Names Information System". usgs.gov. Retrieved 7 August 2017. ^ "City of Houston Annexation FAQ". City of Houston. 31 October 1996. Retrieved 24 April 2018. The city's first choice for providing fire and EMS service[...]to provide these services if the area is annexed[and]No. Annexation does not change school district boundaries or attendance zones in any way.[and]No. The U.S. Postal Service establishes ZIP codes[...] Annexation would not change the Kingwood ZIP code or mailing addresses. ^ "Area by District Council (October 2014)". Lands Department. Retrieved 20 April 2016. ^ Guo, Rongxing. Understanding the Chinese Economies. Academic Press, September 19, 2012. ISBN 0123978262, 9780123978264. p. 13. ^ "Définition - Municipality - Insee". Insee.fr. Retrieved 15 October 2017. ^ "Carregue aqui para fechar a janela Divisão administrativa". Ine.pt. Retrieved 15 October 2017. ^ In this context, the phrase is descriptive, not prescriptive; "unitary authority" does not have the specific legal meaning that it has in England.